There are shampoos for cats and dogs for every occassion and for every coat colour and type. We stock a comprehensive range of shampoos to cater for most needs. Anju Beaute Blancheur is a good beauty care shampoo, which helps revive and intesify white coats, and also helps fight yellowing. Ingredients include Camomile, which helps to revive and enhance the shine and intensity of white coats. 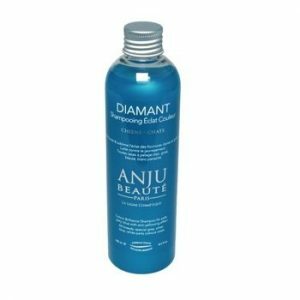 Anju Beaute Diamant shampoo is Camomile based, which intensifies and enhances the colour, tone and shine of light, blue, grey and white coats. It also helps fight yellowing. 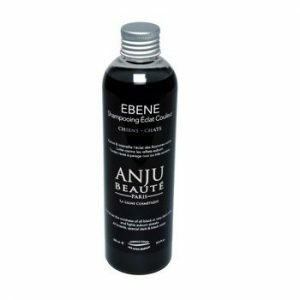 Anju Beaute Ebene shampoo is suitable for all breeds with black or very dark coloured coats. It intensifies and enhances the shine and colour of these coats, and it helps to fight reddening in the coat. Anju Beaute Havane shampoo is a unique formula, based on Horse Chestnut, which helps to enhance and revive the intensity, shine and deep tones of all shades of brown coat. 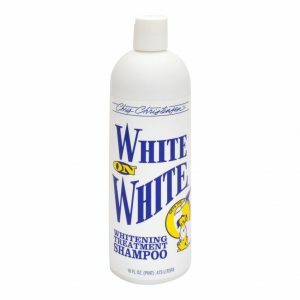 Chris Christensen White on White is an optic intensifying treatment within a shampoo, producing a really brilliant white finish. White on White contains no bleaching agents, or caustic or harsh chemicals. 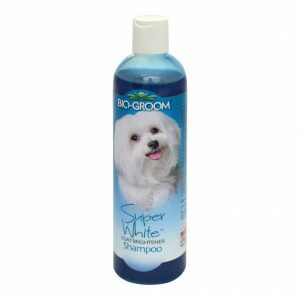 Biogroom Super White shampoo has a coconut oil base formula enriched with protein. It is specially formulated for white and light coloured coats. Whiteners and pearlescent brighteners will add brilliance and sparkle to the coat.